New Year ahead! Let’s start it out with an outing to play radio in the park! Sat 26 Jan 2019 is the date! We will begin with a warm breakfast and lots of coffee at Cracker Barrel in Sanford, FL at 0730 EST! This is a good time to show off new gear, brag about contacts you made and get to know the gang. After we get fueled up we should be setting up in Sylvan Lake Park about 0900 EST if you’re a late wakeup person, just meet us in the park. Normally you’ll find us in Picnic Area A down by the lake. Good quiet spot with abundant trees to hang antennas! All QRP portable ops and those interested in portable ops are welcome. Don’t forget HAMCATION is coming up Feb 8-10. Great time to check out new gear, find parts and gadgets you need for your shack or portable outings. This might be your last chance to make a CW QSO before Straight Key Night and the New Year! Let’s close out the season with a bang and meet for breakfast at 0730 EST at the Cracker Barrel Sanford, FL for meet n greet, show n tell and lots of coffee! About 0900 EST we should be arriving at Sylvan Lake Park and setting up for some Low Power Ham Radio operations. Look for us in Picnic Area A down by the lake (past the soccer fields and turn left) and if it has been reserved, check the other Picnic Areas and watch for our cars with Amateur Radio Tags and antennas. Using battery-powered radios of all types and modes we’ll light up the airwaves and make a season full of joyful noise. 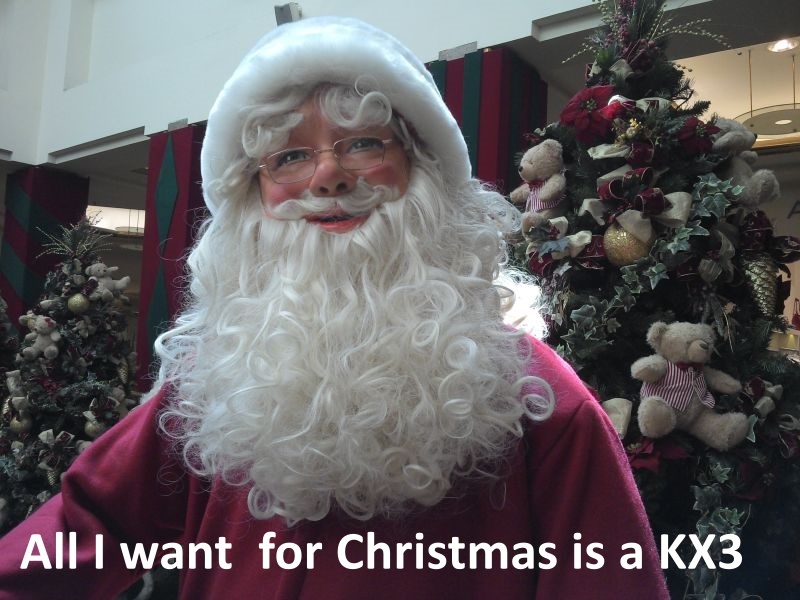 Tell us what Santa already delivered or what you’ve been dreaming of getting. If you want to learn how the QRP gang gets on the air this is the place to show up. We have a wide variety of rigs, antennas and stories of exotic dx and milliwatt QSO’s! Merry Christmas, Happy New Year and bcnu on da air! Drop your wife off at the mall for early shopping bargains and join us for breakfast before we play radio in the park! We start with breakfast and Cracker Barrel in Sanford, FL at 0730 EST. This is show n tell time and lots of world problems get solved too. Bring your latest gear purchase or creation and show it off to the gang. About 0900 EST we should be setting up in Sylvan Lake Park down by the lake in Picnic Area A (if it is not reserved). If you don’t see us there, check the other two picnic areas and watch for our cars with Amateur Radio tags and antennas. 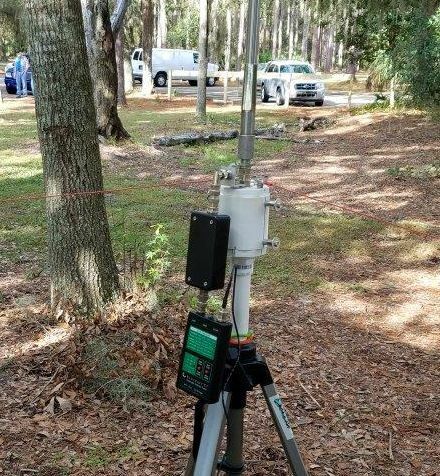 We enjoy sharing ideas on QRP portable rigs, antennas and accessories. We mostly can be found near CW and SSB QRP frequencies on 80, 40, 30, and 20meters unless the higher bands are open! You never know who or what might show up, and we have a good time whether we make many QSO’s or not! If you don’t have a rig, but have a license, we’ll share a key or possibly a mic with ya. So don’t be shy… come out and play radio in a nice quiet outdoor setting. 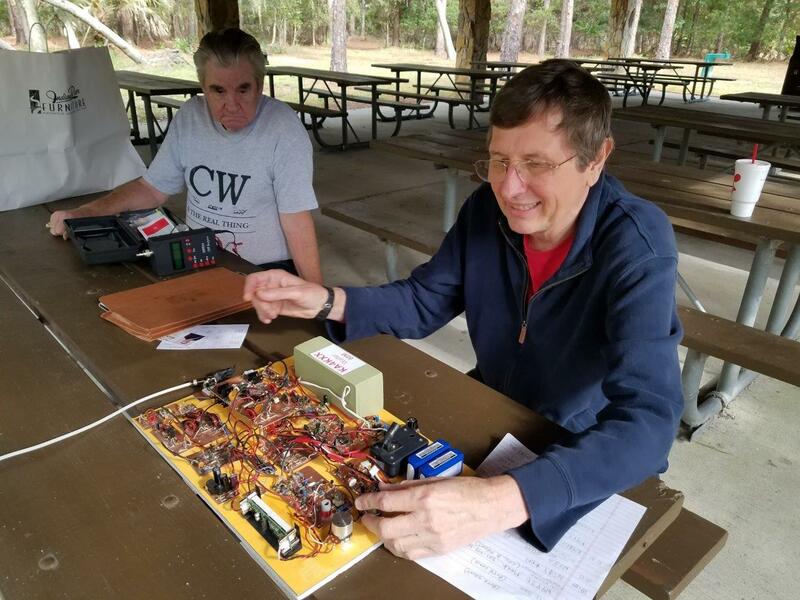 Kelly K4UPG for the CFL QRP Group Orlando!